At a meeting last night, Menlo Park officials approved a deal that will let Facebook employ thousands more people at its headquarters in the Silicon Valley city. Today, the social networking company employs roughly 2,200 people in Menlo Park, but city officials have now unanimously granted it permission to employ up to 6,600 workers on the campus. We’re not very good at math, but we think the new limit is triple the number of employees currently working at FB HQ. The previous limit was 3,600, but Facebook apparently plans to grow fast and furiously. You can find some pictures of Facebook’s Menlo Park campus below. 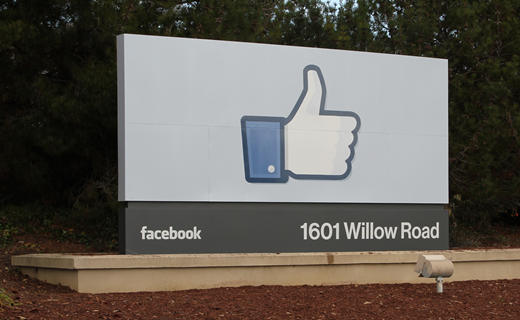 Facebook moved into the campus from Palo Alto last year. The deal has a price, though: according to the LA Times, Facebook will pay the city an average of $850,000 a year over the span of a decade to compensate for the additional load on Menlo Park. Again, we’re not very good at math, but we think that comes down to $8.5 million in 10 years. In addition, Facebook will make a one-time payment of $1 million for capital improvements and establish community services (think high school internship and job training programs). The total deal size is about $10 million, as Facebook also agreed to create a $500,000 fund that will provide grants and charitable contributions to local communities surrounding its Menlo Park campus. For what it’s worth, KRON reports that Facebook has also actually promised Menlo Park more than $14.5 million worth of benefits over the next 14 years, while MercuryNews pegs it at “more than $15 million in fees and public benefits within the next 15 years”. Doesn’t really matter: Facebook just raised $16 billion in its IPO.